If you're on this site, chances are high that you like riding park. I get it, I enjoy a romp in the park every once in a while too, but with the amount, and quality of snow we've been getting on the North Shore to kick off this winter, it'd be ridiculous to spend your entire day in the park. For a little extra motivation to get out and play in the steep and fluffy, here's a video from Warp Wave featuring riding from a whole bunch of folks, including Danny Davis, Desiree Melancon and Jeremy Jones. If this doesn't get you hyped to makes some tracks into the freshies, I don't know what will. Maybe it's useless trying to impart this wisdom to anyone under the age of 26. It was one of those magical, mid-week evenings at Grouse Mountain. The forecast called for a heavy rainfall warning in Vancouver. Lucky for us cooler temperatures on the mountain transformed the rain into heavy snowfall, and day or night everyone loves powder turns. We headed up the gondola ready to ride. The night was filled with fun and face shots from beginning to end. We slayed POW and lapped the park a few times for good measure. While heading back down the gondola, looking out to the city it made me wonder what else was going on under the lights and in the shadows. Usually after riding I would go home to a warm shower and dry clothes waiting for me by my cozy bed. This night was going to be different. Instead of going home to enjoy all my creature comforts, I headed down to Capilano University to join a group of students and some of the Beyond Boarding crew who were sleeping outside to raise awareness and funds for the North Shore Youth Safe House. We are participating in a National Campaign happening at University Campuses this week. The 5 Days for the Homeless project has students from various programs making a commitment to sleep outside for 5 days with just the clothes on their backs, a sleeping bag and depending on the kindness of others for food. The North Shore is a picturesque area and many people don’t really think of homelessness as an issue, especially amongst youth. Even in a seemly affluent area many challenges such as sexual or physical assault, substance abuse or mental health issues can lead to homelessness. The North Shore Youth Safe House takes in these homeless or at-risk youth and works with them to not only help in times of crisis but also provide services that teach basic life skills to help them achieve success long term. In 2012 the North Shore Youth Safe House turned away more youth then it could help. While I spent only one night with the group, as a guest representing Beyond Boarding, it made me wonder where I would sleep if I had nowhere else to go. The students will be sleeping outside until this Friday, March 15th. Stop by Capilano University to support them in person or check out the website to learn more and help them achieve their goal of raising $5000. Shuttles for riders were either on T bars mounted to the back of a groomer, or in the box of this sweet Tucker Cat. A unique grass roots event bringing an Ultra Natural like format to the masses. Awesome. I think it's a good time for events in snowboarding. The big events are getting bigger, and the grass roots events are getting more fun. This last weekend I had the chance to shred in The Slackcountry Cup at Mt. Baldy. In it's second year, this event, put on by Pentagon Boardshop & Ride Snowboards, is doing everything right. The format is pretty straight forward, and is just like the Red Bull Ultra Natural. Two zones are held untouched and riders get one run down each of the zones. One run on Saturday and one on Sunday. No practice runs, no second chances. You have to pick your line from the bottom, and hope that when you drop in at the top you can end up on the line you scoped. The terrain aloud the invited pros in the open category to air out cliffs, and the rest of the riders to step to the bigger cliffs or find other features to hit. The Slackcountry cup also featured a Photographer Showdown as well as Rail Jam/Hip Session on the Saturday night. During the Hip Session I witnessed the biggest Double Backflip Tail Grab I've ever seen. The above is Conrad Kunze's winning submission for Artistic Impression. The winner for Best Action can be seen here. 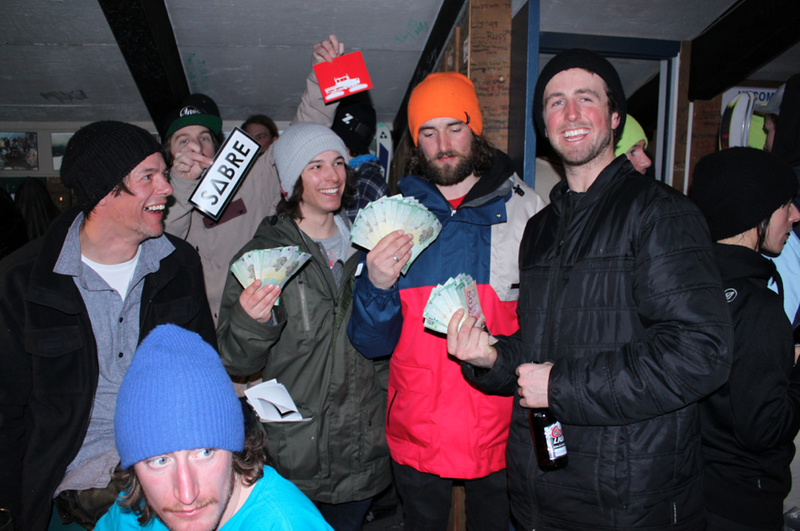 For full list of results and more info check out the Slackcountry Cup website. 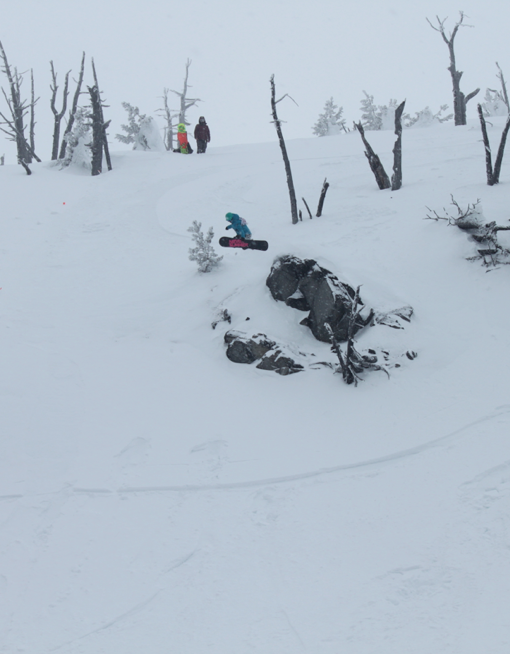 You've gotta go to Baker, and when you do you might as well go during the Legendary Banked Slalom, It's like the Kentucky Derby of snowboarding. 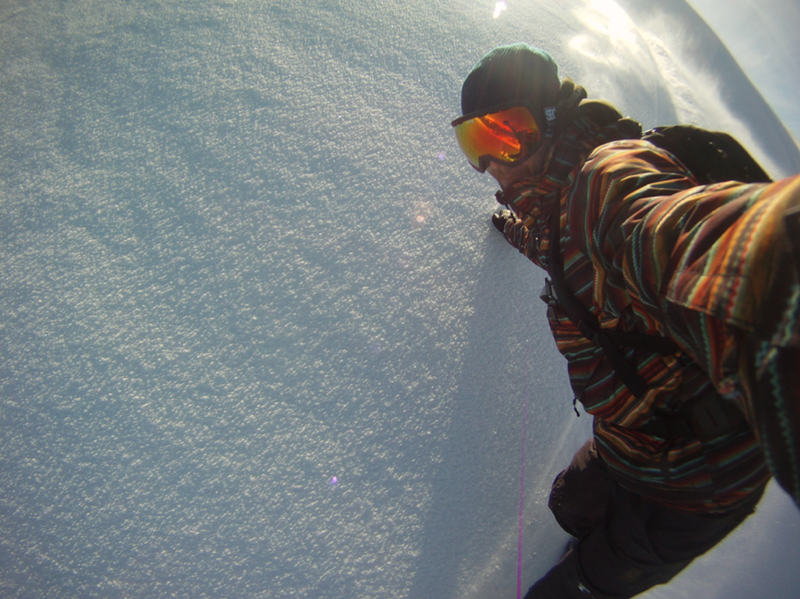 Snowboarding road trips are the best, second maybe to a surf trip in Indonesia, and Mt. Baker is a sick road trip. You can do it as day trip or make it a weekend. The drive from anywhere in the Lower Mainland is about two hours. The terrain is mega and Mt. Baker gets pummeled by storms coming off the Pacific. They usually hold the world record each season, globally, for the resort with the most snowfall (in 1998/99 they received almost 100 feet of snow!) There are no high speed quads, so the snow doesn't get tracked out as fast. There usually aren't any lift lines either. And there is no scene, the parking lot is loaded with Subaru's, and Toyota 4 Runners decal-ed with every rad snow brand you can think of. Everyone is really chill, Baker has the best vibe. Lift tickets are $50 and they take Canadian dollars at par for tickets and in the cafeteria. Eat in the lodge, the food is affordable and really good. Try the chilli in a bread bowl. 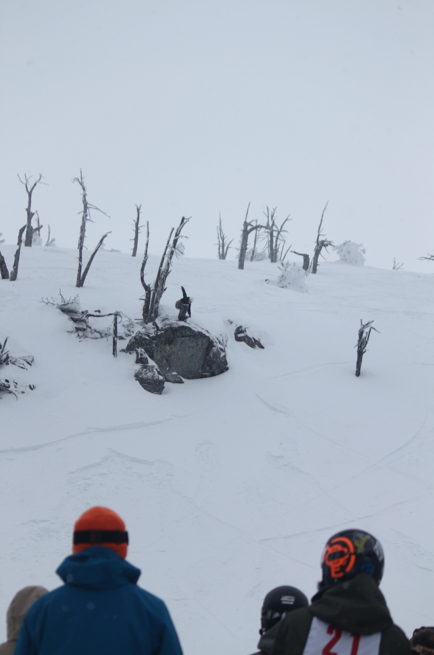 There is awesome slackcountry, so bring a transceiver, probe, shovel and pack - if you don't own these, you can rent them. 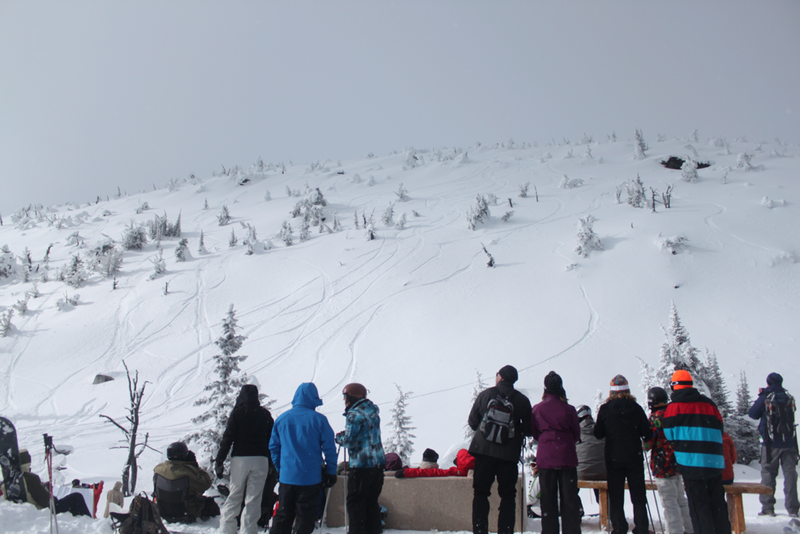 Access to the slackcountry terrain is through ski patrol manned gates - no gear, no access. Ski patrol will check that your transceivers are working - you can also get info about current avalanche risk at access gates. Mt. Baker is in the USA so you have to cross a boarder to get there and will need appropriate documents - passport or one of those new fancy DL's. *also don't be stupid, leave the contraband at home. Gas is cheap in the US, so buy some gas while you are down there. 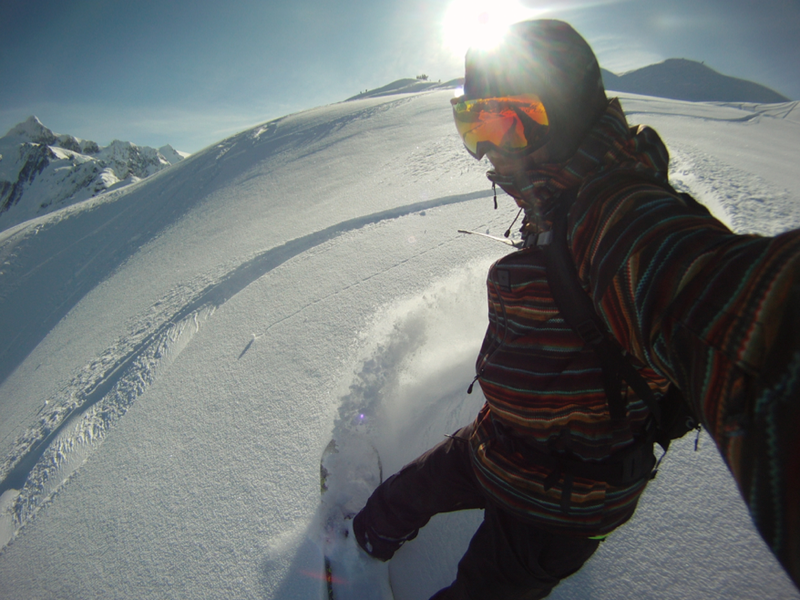 I did the road trip last weekend for the Legendary Banked Slalom. 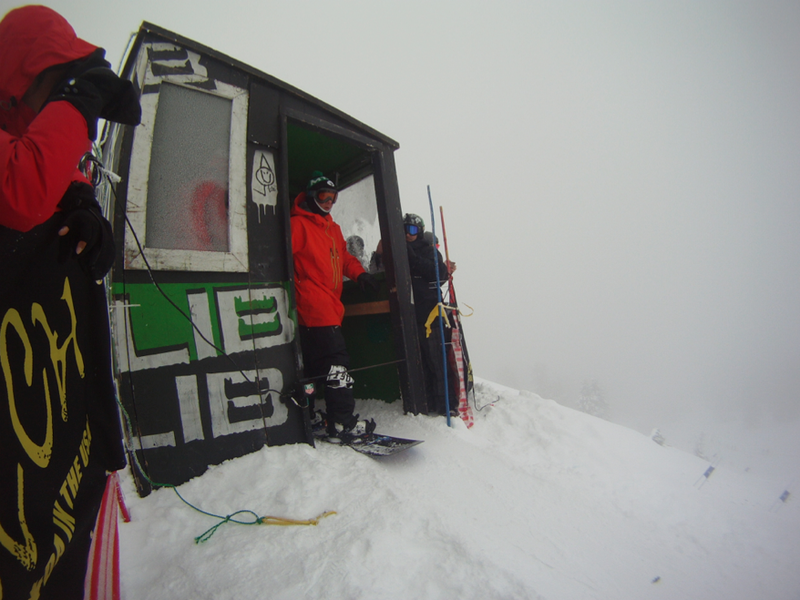 In its 28th edition the LBS is one of the longest running snowboarding events in the world. It's like the Kentucky Derby of snowboarding. The course is a grueling minute and a half (if you are fast) set down a gully run with deep berms. Most people come out the bottom gripping their chests, gasping for air like a fish in the bottom of a boat. No wonder the words scratched into the wood above the starting gate read, 'Say your prayers'. Say Your Prayers. Photo: Tim Zimmerman. Click photo to see ESPN's gallery from event. The field is made up of invited pros, sponsor spots, and lottery draw winners. I've put my name in the lottery the last couple of seasons in the fall and haven't made it in yet. When I say 'invited pro's', what I really mean is every one of the best snowboarders on the planet from the last 30 years in snowboarding! 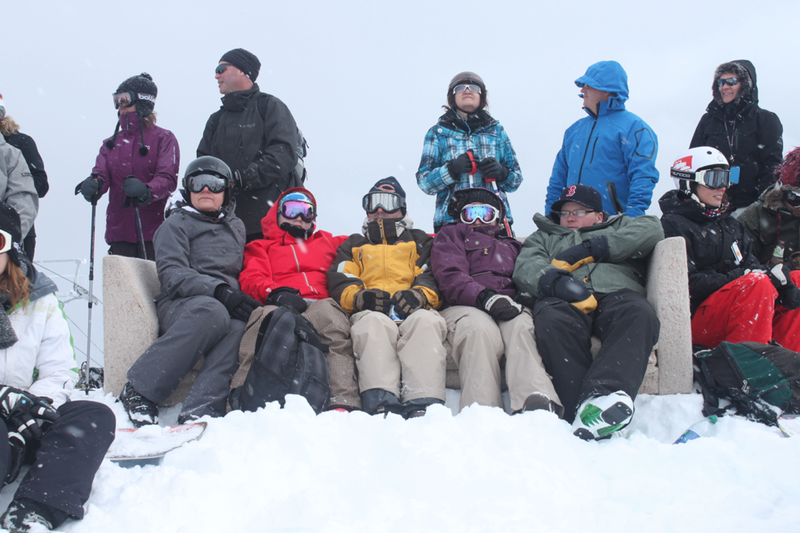 Walking around the start gate you might run into Jamie Lynn, Scotty Wittlake, Terje Haakonsen, Nicholas Muller, DCP, Curtis Cisek, Scott Stevens, Chris Rasman, and Kevin Sansalone. I even saw Grouse Park blogger Caley Vanular dropping in. It's hard not to 'fan out' when you see Jamie Lynn and Terje, shredders that I have been looking up to for 20 years - I watched Project 6 on VHS until it wouldn't play anymore. I managed to keep my cool on Saturday afternoon when I sat down to eat my baked salmon and realized I was sitting next to the man T RICE! I don't have a photo to prove this but you can ask Sansalone. The rider list for the contest and the course are just part of what make the event so rad. 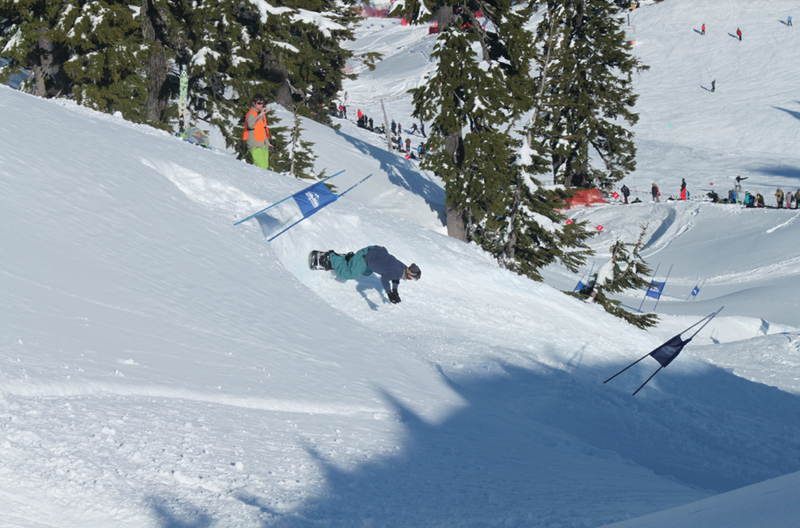 On the Saturday after qualifying they held a Handplant Jam and the Baked Salmon BBQ at the Banked Slalom. The event has stayed true for 28 years. Never selling out to big corporate sponsors. The bib #'s are attached to the riders leg's using Duct Tape, the trophies still have a big roll of Duct Tape on top, and there is no cash purse, but the biggest snowboarders in the world still come every year. It's real. Some of the prizes include blankets made by the local first nations peoples. Respect. For results check out Transworld Snowboarding's recap of the finals.